This NLT Southwest bowie is the first one with this damascus pattern. 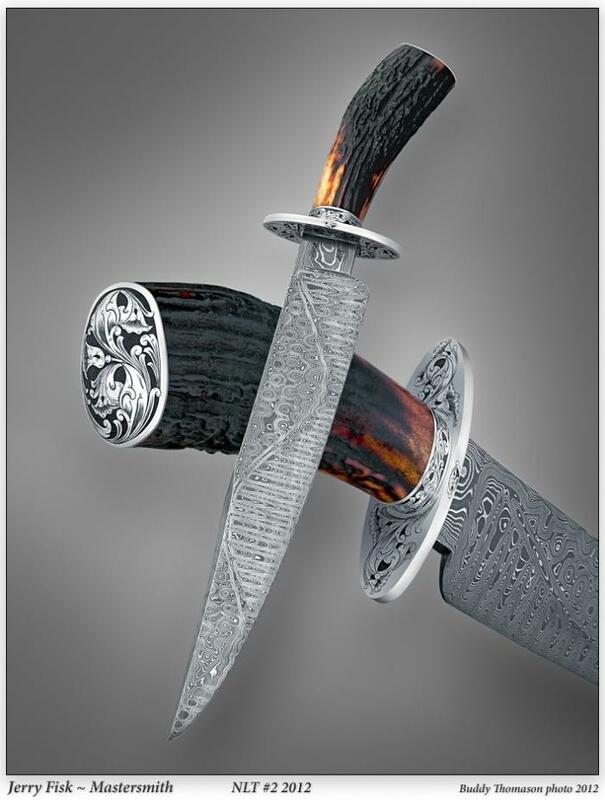 The knife photo was used to promote the first International Brailian knife show held in July 2012. It is always fun but spooky doing something new like this but thats what I like about it. Working on the edge. ha. Search Similar Attributes: NLT, Damascus, Trail of Tears, Stag, Southwest, Bowie.